The third and final PHASTFlex newsletter is available. A high resolution version can be found in the Documents section. The second PHASTFlex newsletter can be downloaded directly here or from the Documents menu. The EU project PARADIGM has published its fourth newsletter. See the paradigm website. The consortium consists of nine project partners, seven of whom are industrial and two are universities. They are drawn from EU member states - Germany, The Netherlands , UK and Spain. All are recognised leading industrial and research entities in the photonics components and systems industry. 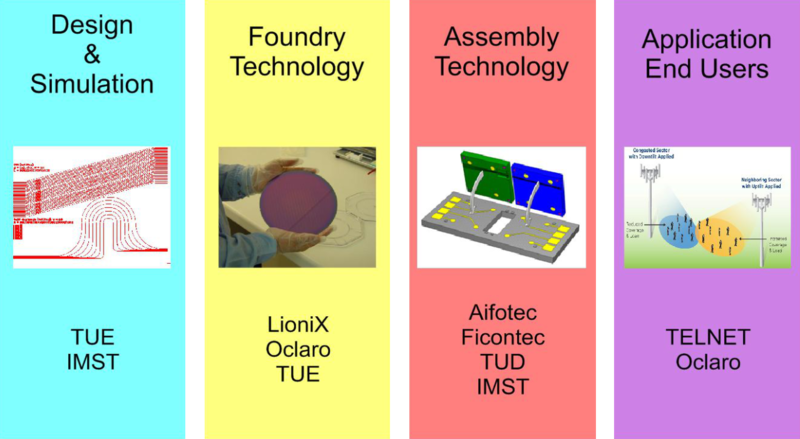 Several PHASTFlex partners (TU Eindhoven, Oclaro, LioniX, and Willow Photonics) have already been strongly involved in the setting up of Europe’s first industrially based photonics platforms in InP JePPIX and low loss dielectric TriPleX.